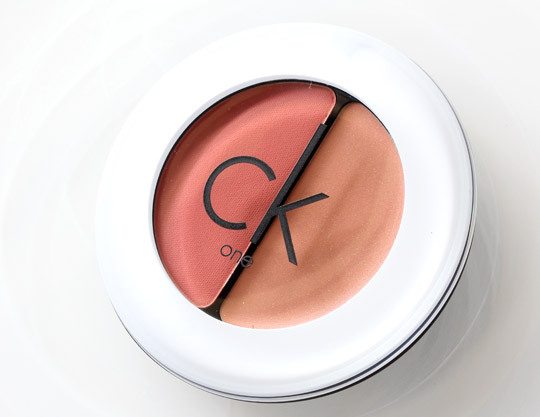 The CK One Color Cream + Powder Blush Duo in Happiness pairs a hard-packed powder blush together with a softer cream blush. 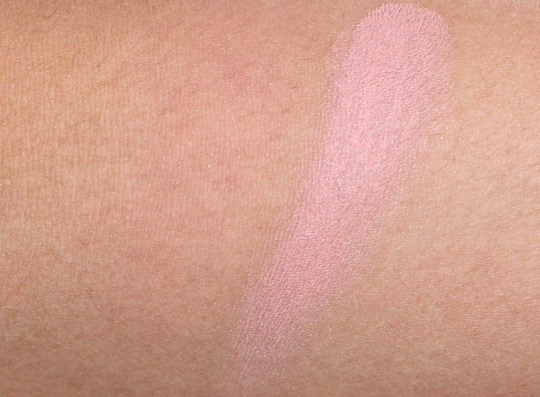 On my NC42 skin, the powder appears matte and peachy pink, while the cream looks like a peachy beige. As for the cream half of the duo, it has a dry, silky, silicone-like texture that reminds me of solid balm primers like Benefit’s Dr. Feelgood. I like how it scoots across my cheeks, but I wish it stuck around a little longer, especially when I wear it by itself. I like happiness. I’m actually a big fan. 🙂 But not even a great name completely saves this particular duo. 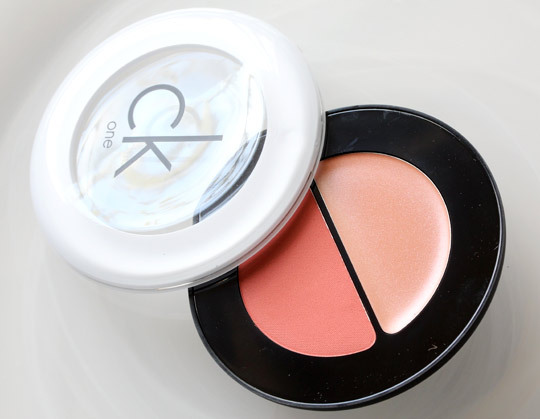 I give it points for sleek, modern packaging (the swivel top’s a nice touch), and I like how naturally radiant it looks on my cheeks when I layer the two products together, but still — $25 is enough to expect better wear time and the flexibility to be able to wear the two sides individually, while still getting good results. 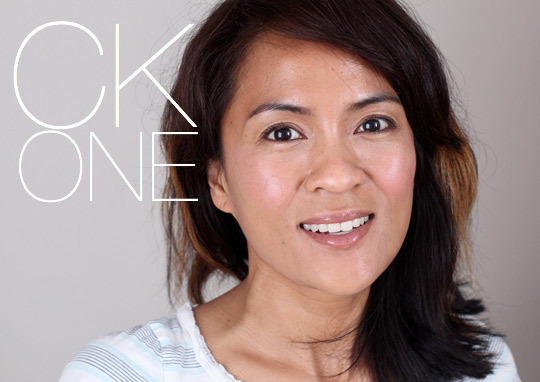 Too bad you’re having a time with this blush duo because it actually looks great on you. It’s such a pretty-looking duo. Too bad it underperforms! Not a fan of blushes that don’t even last a day at work though!